Should major characters be killed on television shows? Watching this week's episode of Vikings had me pondering this question. (Relax, the image isn't a spoiler.) Some shows routinely kill off characters while others not so much. Spoilers for Vikings, The Walking Dead and 24 ahead. Vikings had one major death in the first season. This season Rollo, Floki and Athelstan have all been spared from death (twice in Rollo's case). There's certainly nothing wrong with keeping characters around but on the other hand after Rollo's not quite death in the last episode it's harder to believe the main characters are in real danger in a show that features a lot of close up combat with sharp weapons. 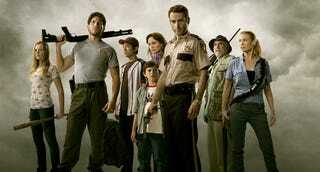 On the other end of the spectrum is The Walking Dead. Note how many of the people in this image are still alive on the show. This season there were several moments when I really thought a major character might be about to die. The idea that (other than Rick and maybe a couple of others) no one is safe adds a heightened tension to the show. Killing off characters was a hallmark of 24. You could expect someone in CTU (often whoever was in charge) to die. (Or be a traitor. Or both.) It was part of the show's formula. After the surprise death at the end of the first season the deaths weren't really shocking though (except for the mass kill-off that started one season). I bring up 24 because it illustrates how killing off major characters just to kill them doesn't really add to a show. 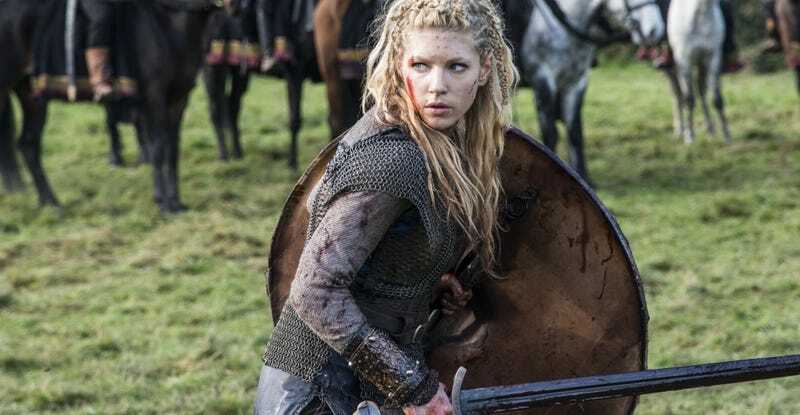 Character deaths do add to The Walking Dead and the unwillingness to kill off characters may start to hurt Vikings (though the season finale next week might change that). I haven't mentioned Game of Thrones because I haven't watched the show though I'm reading the fourth and fifth books right now. I don't know how closely the show is following the books so I can't really discuss the numerous character deaths in GoT.